A graduate of Cambridge University, Sarah Squire spent her career as a diplomat, posted in six countries and serving as Ambassador to Estonia. After her years in the Foreign Office she became President of Hughes Hall, a postgraduate college of Cambridge University for a term of 8 years. 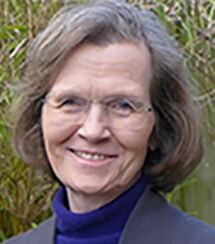 She has broad experience in the voluntary sector having been a Magistrate on the Cambridge Bench and a board member of local groups such as Cambridge VSO and the Cambridge Humanitarian Centre. Most recently she has taken on non-executive roles: as a trustee for United Learning and United Church Schools, as a Chapter Member of Ely Cathedral, as Co-Chair of Cambridge for Europe and as a governor of St Mary’s School, Cambridge.